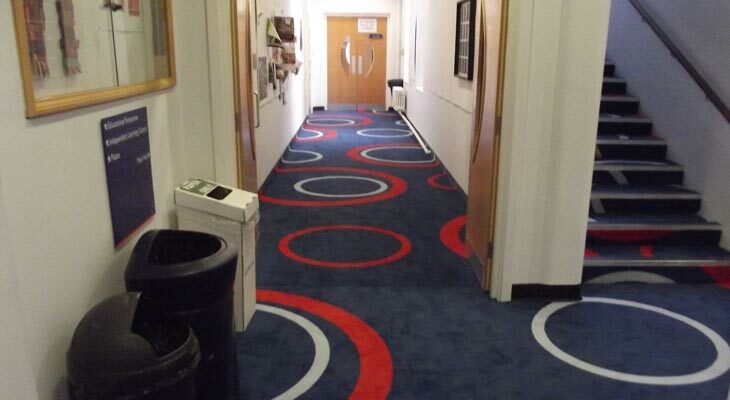 Euro-Pean Flooring was tasked to supply and install college flooring to 700 linear metres of corridors and reception areas at Godalming College in Surrey. 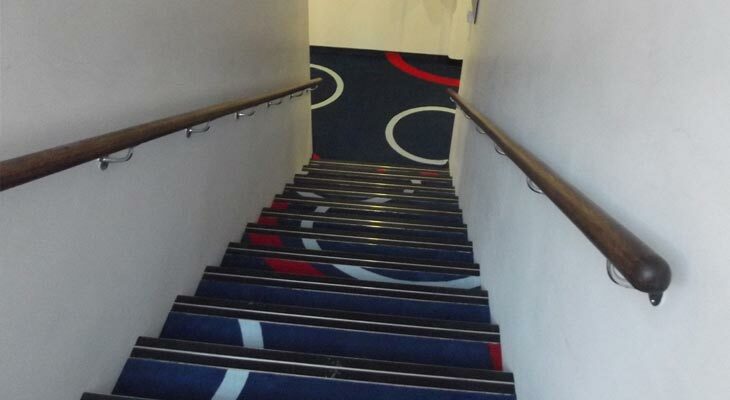 The existing flooring was failing and needed replacing, so a hard wearing commercial grade carpet with a bespoke pattern design to reflect the college branding was approved, then manufactured overseas and shipped directly to site for installation. Below are photos from the college flooring works. 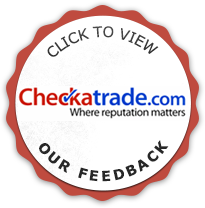 If you have any questions or require help with your school or college flooring project then please don’t hesitate to contact us at Euro-Pean Flooring. We are school flooring specialists. The college corridors formed around a centre square with stairs up to the first floor and repeating. 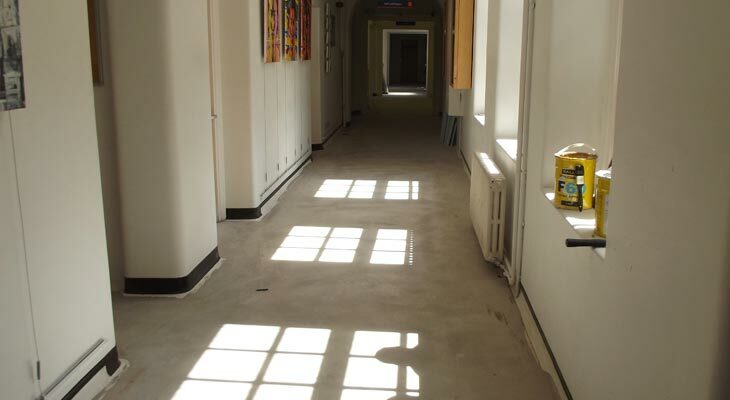 Initially we uplifted the original carpet to reveal a terrazzo floor underneath, which was the very first floor of the school. We applied a latex layer over the old terrazzo floor to obliterate the old adhesive residues and to start with a clean slate. 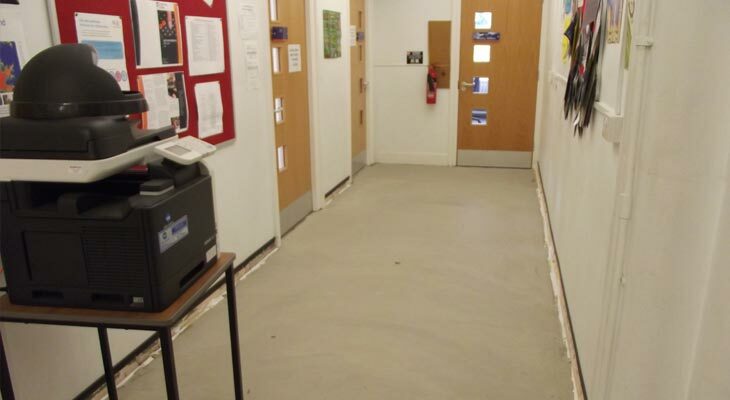 All 700 metres of the college flooring was perfectly latexed. The client requested for the carpet to be turned up the walls (which is actually quite unusual in carpet installations), so we installed capping strips along the corridor walls ready to receive the carpet. 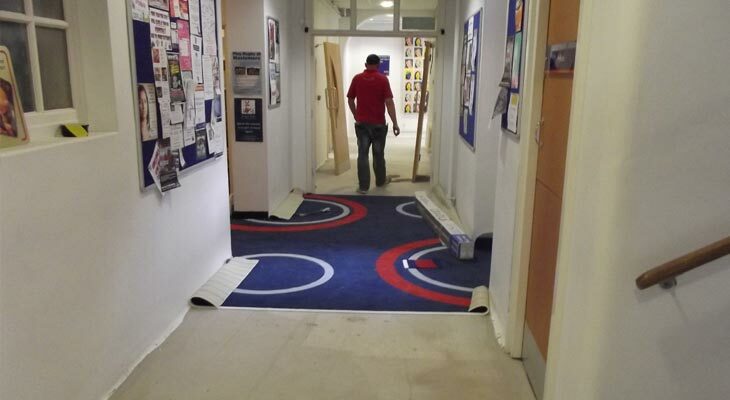 Starting to fit the new college carpet with bespoke pattern to the corridors at Godalming College, designed specifically for the college brand. One of our most important tasks was to ensure everything was symmetrical. 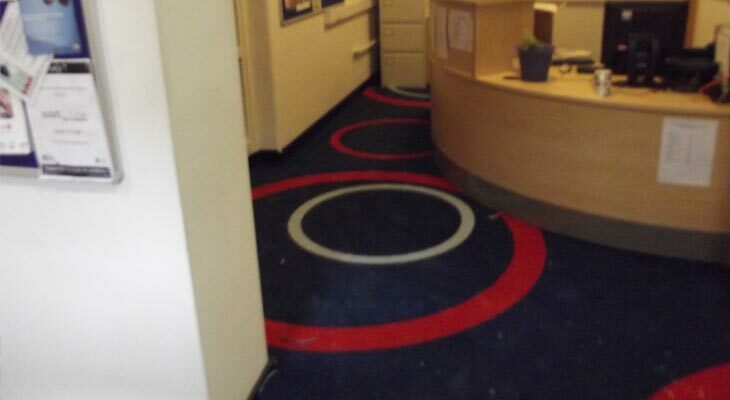 The college carpet flooring installed to one of the reception areas. 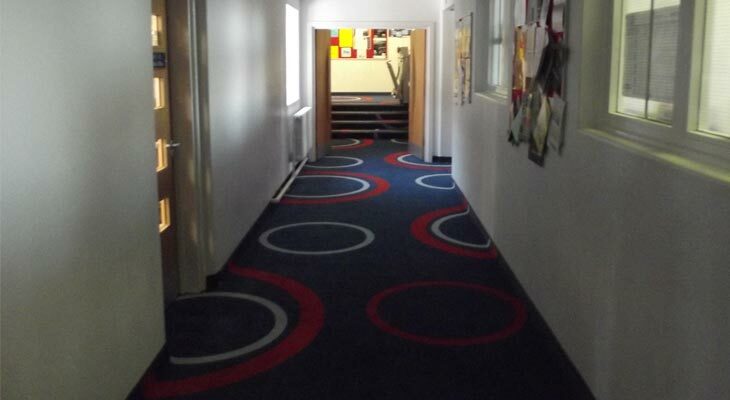 The college carpet was tufted needle punched of hard wearing commercial grade, using modern technology and manmade fibres, more cost effective than a woven carpet. One of our college carpet specialists in Surrey turning the carpet up the walls as requested by the client. One of our college flooring experts tucking the carpet up underneath the edging strip. The carpet is cut slightly long, then folded and tucked using a screw driver. Adhesive holds it in place. 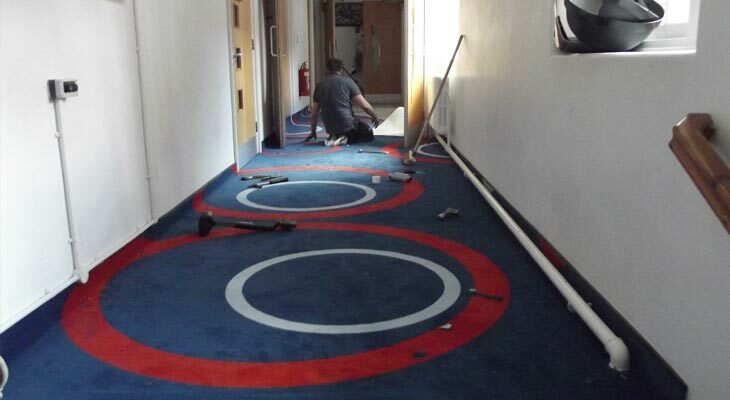 Our Euro-Pean Flooring commercial carpet specialists had to cut around numerous original heating pipes that ran down the corridor lengths. An intricate job which required careful attention. 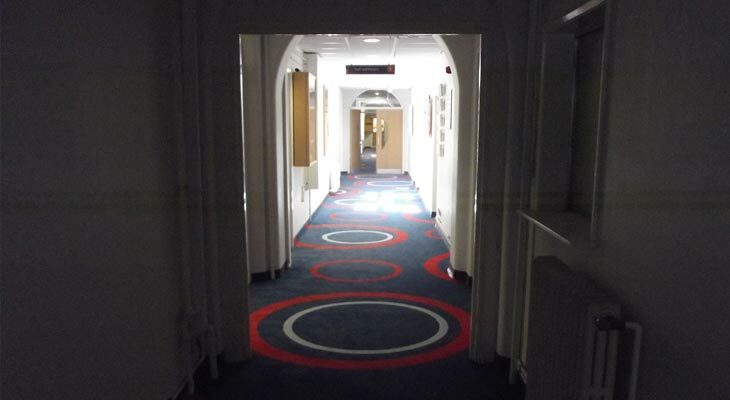 A view along one of the lengthy Godalming college corridors with finished carpet installation by Euro-Pean Flooring in Horsham. 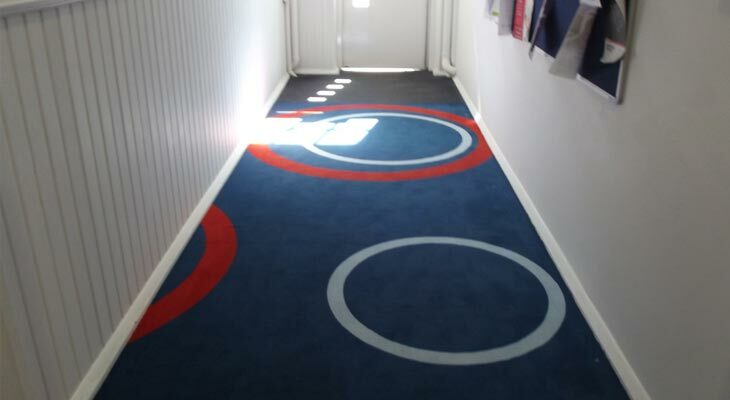 One of the completed corridors passing a reception area, with stairs leading up to the first floor, continuing the bespoke flooring pattern. View down one of the stairs from the first floor. Aluminium nosings in place with DDA compliant contrasting strips to help determine the edge of each step. Nosings also help with the wear of the carpet. 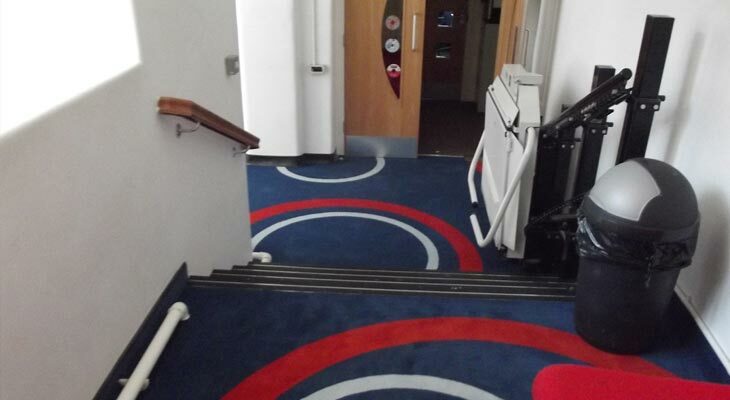 Completed view down a short flight of stairs with aluminium nosings in one of the college corridors, with disabled stair lift to the righthand side. 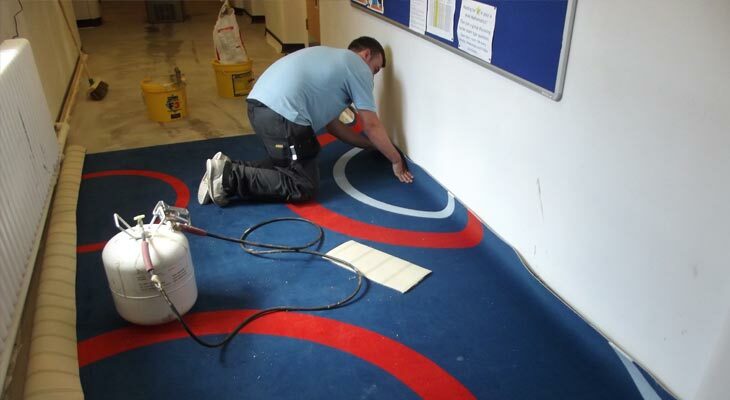 Overall the college flooring installation spanned a month with up to five of our specialist carpet installers working on-site at certain times. 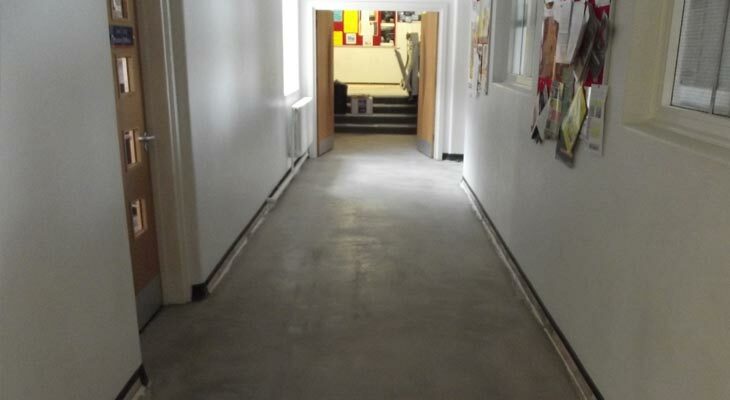 If you require help with your school or college flooring project then contact us at Euro-Pean Flooring.